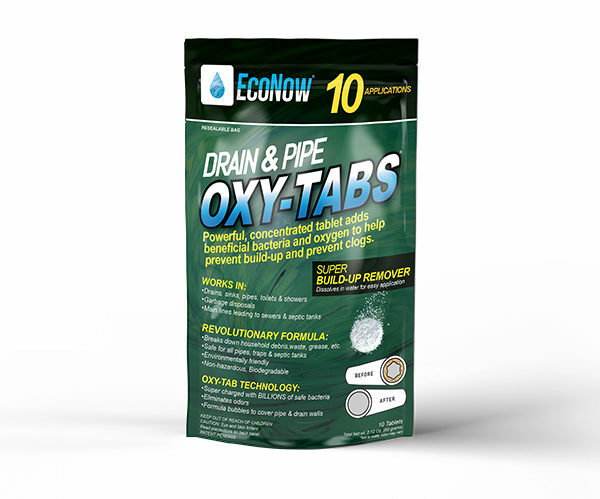 EcoNow Drain & Pipe Oxy-Tabs utilize OXY-TAB technology which provides oxygen, buffers and billions of beneficial bacteria and enzymes that encourage the breakdown of household debris, waste, grease, and other stuff to help remove Build-Up in pipes, drains and garbage disposals helping to prevent blockage and the issues associated with it. © 2017 ECONOW SOLUTIONS. ALL RIGHTS RESERVED.